Giveaway at ALWAYS in the MIDDLE: One lucky winner will receive a copy of THINGS THAT SURPRISE YOU (U.S. addresses). Just leave a comment below and I’ll draw the winner this Friday 9/15 at 12 noon EDT. Good luck! PLUS! Enter here by September 14th where one grand prize winner will receive a Crafty Unicorn Kit! The prize includes a fun craft kit, a copy of THINGS THAT SURPRISE YOU, unicorn stickers, and puzzle cards! Transitions. A part of life. They can be happy, sad, confusing, or down right impossible to comprehend. The one transition that has always struck me as the most difficult is when you leave the comfortable confines of elementary school and enter the scary world of middle school. Twelve-year-old Emily has an even tougher transition with lost friendships and problems at home. The friend drama comes from her best friend Hazel who seems intent on forging ahead too fast into this more grown up world, leaving Emily behind. The family piece of course comes from the common MG theme of divorce but also a less common one: Emily’s older sister is set to return home after her treatment for anorexia. Told in first person through Emily’s spot on tween voice, this would make a great beginning of sixth grade read, alerting young minds about how actions can hurt others. A welcome addition to any library. I also adored Jennifer’s previous MG title— THE REMARKABLE JOURNEY OF CHARLIE PRICE. Emily Murphy is about to enter middle school. She’s sort of excited…though not nearly as much as her best friend Hazel, who is ready for everything to be new. Emily wishes she and Hazel could just continue on as they always have, being the biggest fans ever of the Unicorn Chronicles, making up dance moves, and getting their regular order at The Slice. But things are changing. At home, Emily and her mom are learning to move on after her parents’ divorce. Hardest of all, her beloved sister Mina has been in a treatment facility to deal with her anorexia. Emily is eager to have her back, but anxious about her sister getting sick again. Hazel is changing too. She has new friends from the field hockey team, is starting to wear makeup, and have crushes on boys. Emily is trying to keep up, but she keeps doing and saying the wrong thing. She wants to be the perfect new Emily. But who is that really? Hector. He’s a classmate of Emily’s who rises above the taunts of others and forges ahead to become the person he wants to be. Emily orders a self help CD series to help her figure out who she is and who she wants to become. What she learns is actually quite helpful. Girls are going crazy for boys and Emily can’t make herself get on that ride. It’s an honest look at many girls in sixth grade middle school. Eating disorders are a problem that won’t be going away soon and impacts many families. I’m glad the topic is getting some exposure in a middle grade book. A pet dog becomes an outlet for comfort. He’s there like most dogs, but having him look at you in a non-judgmental way is often the therapy Emily needs. FAVORITE LINES: I close my eyes. My mind goes to the pool that summer and every summer before. Me and Hazel, each sitting in our inner tubes, holding on to each other as long as possible until we finally drift apart. I watch as she floats farther and farther away. Jennifer Maschari is a classroom teacher and the author of THE REMARKABLE JOURNEY OF CHARLIE PRICE and THINGS THAT SURPRISE YOU. She is hard at work on her next middle grade novel with Balzer+Bray/ HarperCollins. Jennifer lives in Ohio with her husband and stinky (yet noble) English bulldogs, Oliver and Hank. To learn more, and to download a free curriculum guide, visit http://jenmaschari.com/. 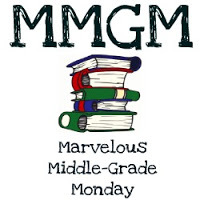 This entry was posted in Giveaways, Reviews and tagged female protagonists, Jennifer Maschari, Marvelous Middle Grade Monday, MG book reviews, Middle grade, Things That Surprise You. Bookmark the permalink. Glad to see something about eating disorders too. This sounds good, but I’ll let someone else win. I’ve been wondering about this book. Your review makes it sound exactly like the kind of book I would like to read and review. I’ll have to check it out next library visit. Thanks for letting us know about it. I have experienced eating disorders in my family and I have a child beginning middle school this year. Thanks for telling me about this important book. I like what you shared about this book! It could be very helpful for those beginning middle school. Great plot. I never understood why they moved 6th grade into middle school, where the pressure can be quite intense for kids not ready for dating and the interests of those in 7th and 8th grade. And it is in middle school where eating disorders usually begin — sometimes sooner. Once upon a time ago I used to work with individuals with eating disorders. I love the cover of this book. The way the flashlight illuminates the bright and cheerful side of things. Also, unicorns! Hello, what girl doesn’t like unicorns? That is an outstanding cover, and as is often the case, the five things you have chosen to highlight that you like about the book make me want to read it. I also love your favorite line–this tells me how poetic this author’s writing is and how perfectly middle grade tween her voice in this book is. I’d love to study this text as mentor text for my own writing as well as just enjoy the story itself. I haven’t read any middle grade books dealing with eating disorders yet, but plenty on divorce. Thanks for sharing today! This is such a challenging time in a kid’s life, and doubly complicated if there are family issues going on…which there are for many kids. It’s great to see someone taking an honest look at these things! Thanks so much for the recommend! I can’t think of another title that deals with eating disorders, yet it is something that so many people deal with. I have had a few close friends deal with this issue, so the poignancy of this really hits home. Thanks for featuring this–middle school is such a challenging time. Count me out of the drawing as my TBR list is toppling–but I will be looking for this one as soon as I can. It’s rare to find anorexia at the center of a MG novel. It’s something that needs to be out there at this age. This sounds good. Thanks for the review. Thanks for sharing this one – I think a lot of kids will identify with it. My sister, a nutritionist, spent a few years working with eating disorders. Maybe the kids who see themselves in this book will find help. Also – dogs!